Wear your lake with pride! 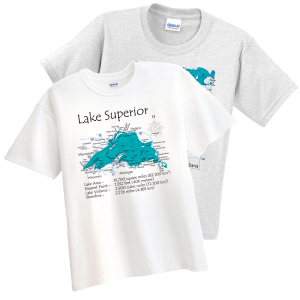 Our Lake Map T-Shirt is available in white and gray, in youth and adult sizes. We have an extensive list of lakes from which to choose to customize your T-shirt. The artwork depicts any lake down to its finest detail! The white is 100% pre-shunk cotton and gray 90% cotton/10% polyester. Nice shirt, true to fit.